Hanging shelving. Support bracket for wall fixing in painted steel. Self-threading stainless steel cables in different sizes. Shelves and cabinets in oak, or in glossy or matt lacquered MDF. 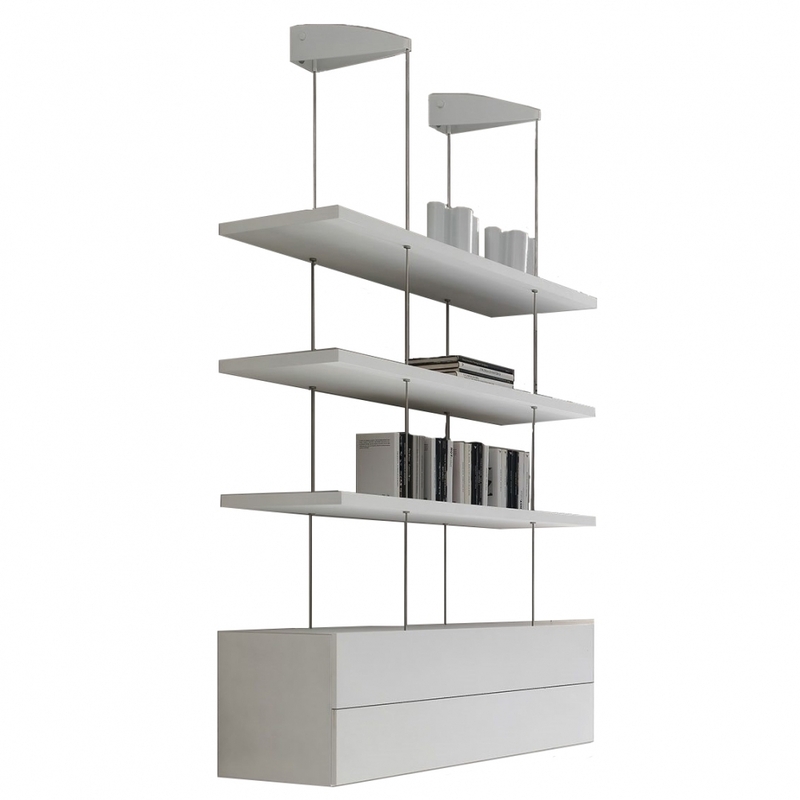 The shelves are available also in tempered glass, clear or coloured.